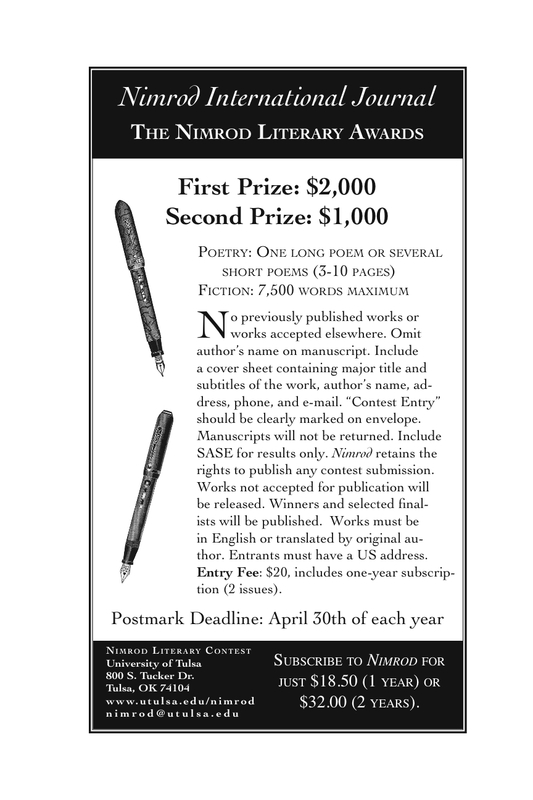 Nimrod International Journal announces the 39th Annual Nimrod Literary Awards: The Pablo Neruda Prize for Poetry and The Katherine Anne Porter Prize for Fiction. 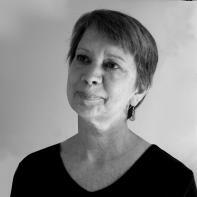 The Awards offer first prizes of $2,000 and publication, and second prizes of $1,000 and publication. For poetry, submit 3-10 pages (one long poem or several short poems); for fiction, one short story, 7,500 words maximum. Include a cover sheet with titles of the works and the author’s name, address, phone, and email. The author’s name should not appear on the manuscript. Entry fee: $20 (includes a one-year subscription). Postmark deadline: April 30th. Complete rules: https://nimrod.utulsa.edu/awards.html. Nimrod International Journal’s mission is the discovery and support of new writing of vigor and quality from this country and abroad. The journal seeks new, unheralded writers; writers from other lands who become accessible to the English speaking world through translation and established authors who have vigorous new work to present that has not found a home within the establishment. For over 50 years and particularly since the birth of the Nimrod Literary Awards, Nimrod International Journal and its outreach programs have connected writers and readers worldwide.